We’ve worked with organizations where high-end equipment is employed for daily operations. Having a burnt light or a ripped belt drive hurts their business. More importantly, these hiccups affect their reliability and efficiency. This post explains how the Service and Maintenance feature in EZRentOut can be used to keep your equipment in good shape. You can enter an asset in maintenance from the listing or its detail page. You can also select a bunch of items on the asset listing page and start maintenance for them. A ‘Service Asset’ overlay will appear. Once these assets are in maintenance state, they will not be available for rent outs. However, you can book these assets with the condition that the booking date doesn’t clash with the maintenance timeline. With every maintenance record, you can enter the type of service (standard, repair, or warranty), the vendor who is providing that service or member performing that service under ‘Service Performed by’, and more from the ‘Service Asset’ Overlay. Inventory items that are consumed in this service can also be linked and recorded. You can also specify an expected completion date to get alerts when this date arrives. You can edit/extend this date if the service doesn’t go as scheduled from the listing and asset details page. On asset details page, this option is available in the top right corner (see image below). Hit ‘start’ and an overlay will appear. Cost of the service can be added when you complete maintenance on an asset. Hit ‘complete’ from the top right corner in the asset details page or from the listing page. Note: Maintenance cannot be started for assets in a rented out state. Service records can be added as well to an item being rented out or in a maintenance state. If you want to add a service record without tracking the complete maintenance cycle, you can simply add a service ticket. Adding a service ticket does not send the item into ‘unavailable’ state. This option is available from the top right corner under asset details page. 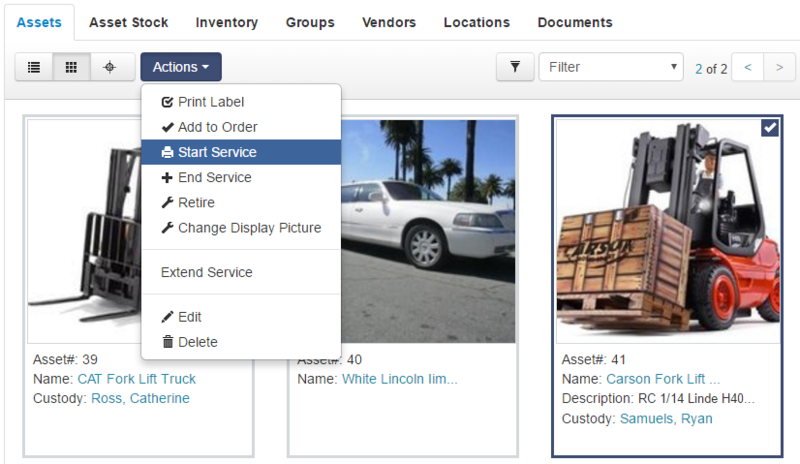 You can add service records against multiple assets from the asset listing page. In case you’ve created or started maintenance on an asset, you can also record a service ticket to that asset while in the state of maintenance or unavailability. 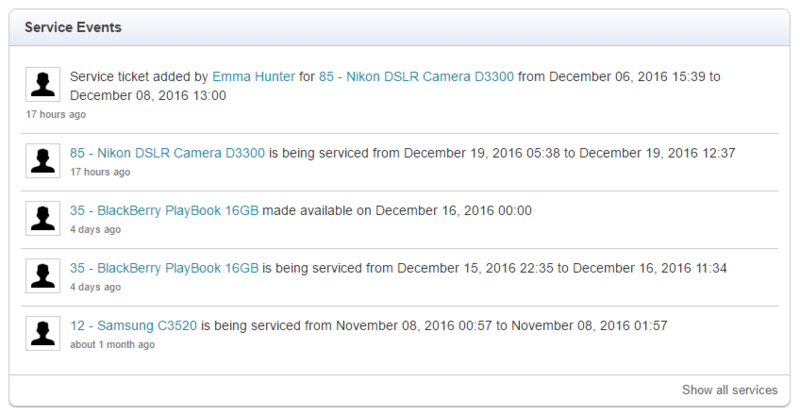 Useful in scenarios where you can keep track of previous or on the spot service costs and document them under each item’s detail page. Note: Service records are always marked as ‘Completed’. Other than administrators, staff users can also comment on these service events, if the assets in question are visible to them. This can be done from the service tab under the asset details page. Hit service type e.g. ‘Other’ and add comments. As per our recent update, Staff Users can schedule services and put items into maintenance. You can enable this from Company Settings > Service and Maintenance for Staff Users. 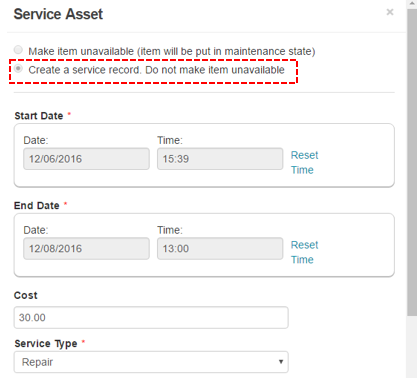 All the services and maintenance events of an asset are listed under the Services tab at end of the asset detail page. Note: You can edit service costs for service and maintenance events from this tab as well. The items currently in maintenance are also summarized under notifications bell. This is the place for quick view and actions on service events i.e. active, completed. 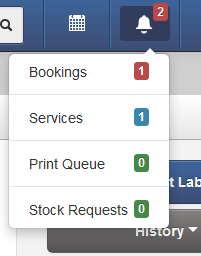 The services notifications section lets you keep tabs on service and maintenance events for all items on the system. The Active tab shows all service items that are currently in the maintenance state, the Completed tab lists all completed service events while the Pending tab displays all service events that are due but are yet to be processed. This is how you can track warranty renewals in EZRentout using Custom Fields. Set a Date Alert for warranty renewals to enhance preventive maintenance. – Created: To get an email whenever a service ticket is created on an asset. – Started: To get an email whenever a service is started on an asset. – Extended: To get an email whenever a service is extended on an asset. – Completed: To get an email whenever a service is completed on an asset. – Completion Due: To get an email when the expected completion date for a service arrives. – Comments: When someone enters comments on a service record. Enable ‘Show service events on dashboard’ from Settings → My Settings → Dashboard Settings. Stay on top of all the service and maintenance events created by you or your staff members. Get insights on your service and maintenance events from ‘Reports’. Filter equipment maintenance data based on the timeline, type of service, group the items belong to, or whether to retired assets in your audit data. We LOVE hearing back from you. Drop us an email at support@ezrentout.com. You can also share your ideas on our Community Forum regarding our online rental software. 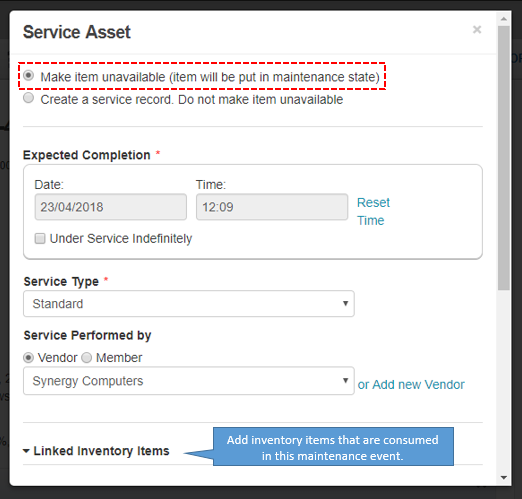 Updated: This post was updated on April 24, 2018, to reflect changes in adding a field for ‘service performed by’ in service asset creation dialog for maintenance and service events, and the ability to edit/delete service records by admins and accounts owners. This entry was posted in [Support], CMMS, Feature, productivity and tagged custom field, maintenance, productivity, service and maintenance by admin. Bookmark the permalink.